This is just a quick note to say that tomorrow I'll be at the Yorkshire event that's part of the Global Drupal Sprint Weekend. I can only make the Saturday, but I still want to get involved. 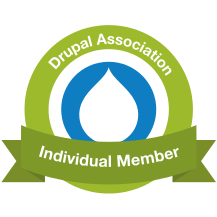 The Drupal community's events are like no other's, and local groups are generally welcoming and fun to spend time with, regardless of whether there's some "activity" like sprinting to be done at them. Could you make a local sprint event? There's Leeds, London and Hertford in the UK; and maybe one near you if you're based elsewhere. There's always a lot more fun in numbers, so they also serve who turn up and just drink tea. That's what I'm hoping, anyway.